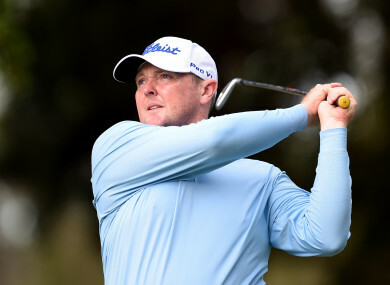 AUSTRALIAN GOLFER JARROD Lyle has taken the decision to begin palliative care after being diagnosed with acute myeloid leukaemia. The 36-year-old, who qualified for The Open and US Open in 2006 and 2008, previously overcame bouts with cancer in 1998 and 2012 to return to the golf course. But in a heartbreaking Facebook post today, his wife Briony says Lyle nor his doctors can see a positive outcome after his condition deteriorated in recent months. “Jarrod made the decision to stop active treatment and begin palliative care. He has given everything that he’s got to give, and his poor body cannot take anymore. We’ll be taking him closer to home in the next couple of days so he can finally leave the hospital,” wrote Briony, who later devoted her focus to helping her two daughters overcome the challenges ahead. Email “Australian golfer, 36, enters palliative care after third battle with cancer”. Feedback on “Australian golfer, 36, enters palliative care after third battle with cancer”.